The setting is unique – an open restaurant inside a mall – no walls – logically people passing by can peep into ur plate & comment on ur food – However it being a scarcely populated mall, nothing of that sort happens & u can have a really good time with friends & some good food. The Live kitchen is right in part of u & so u can also choose to sit on the kitchen bar on high stools. Loved the sweet & salty Crispy duck wontons, enjoyed the outstanding crystal dumpling shrimp, the steamed dumpling prawn with coriander & an excellent baby lamb dumpling with oriental chillies. For the maincourse, we drifted from China to Malaysia & had a mindblowing grilled salmon with penang curry in sticky rice. 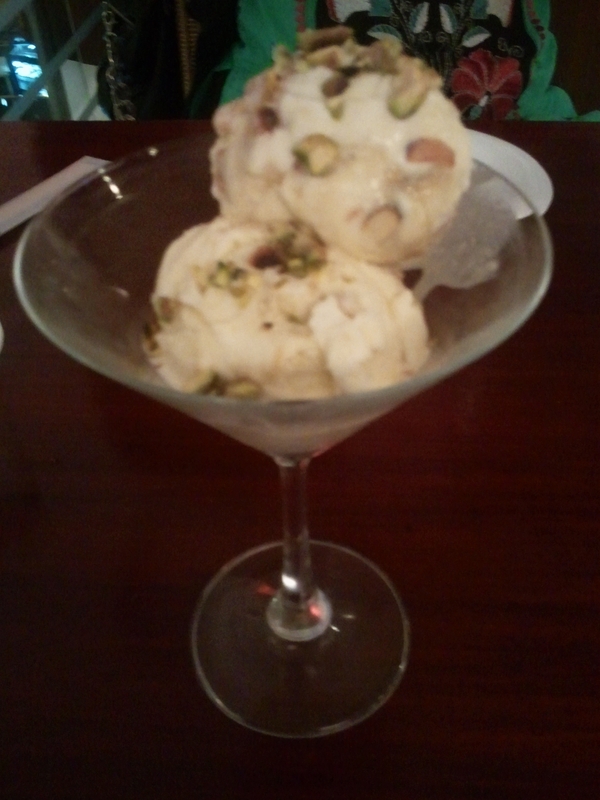 The dessert was fabulous ‘home made’ coconut caramel ice cream topped with mixed nuts. Red wine poached Rum & raisin ice cream is the best dessert in this place though. My Chinese friends said ‘this food is 85% original’ during their visit to India. So I guess that speaks a lot. As we sat for the dinner, we figured that a lot had changed since we used to come 6 years back but then a lot was the same. 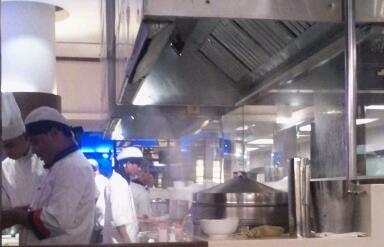 The sections were same & there were many new dishes. The most popular ones of those times are still on offer. 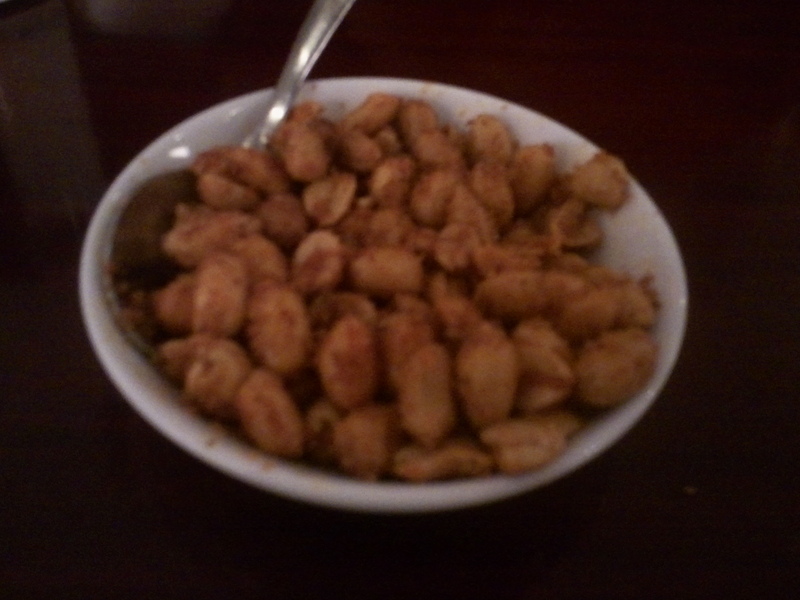 Before the food came a tiny bowl of peanuts – slightly sweetened with mild gains of brown sugar I guess, salted & also spiced up with some red chilli powder …. Very nice initial munch. 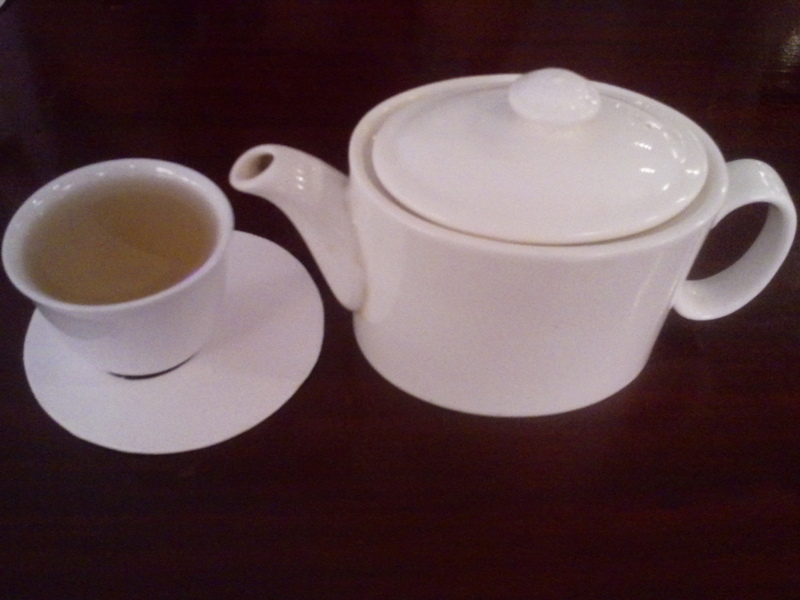 Word of caution is that the taste is very strong – so make sure u wash down the taste in ur mouth with the chinese tea that is served on request – free of cost. 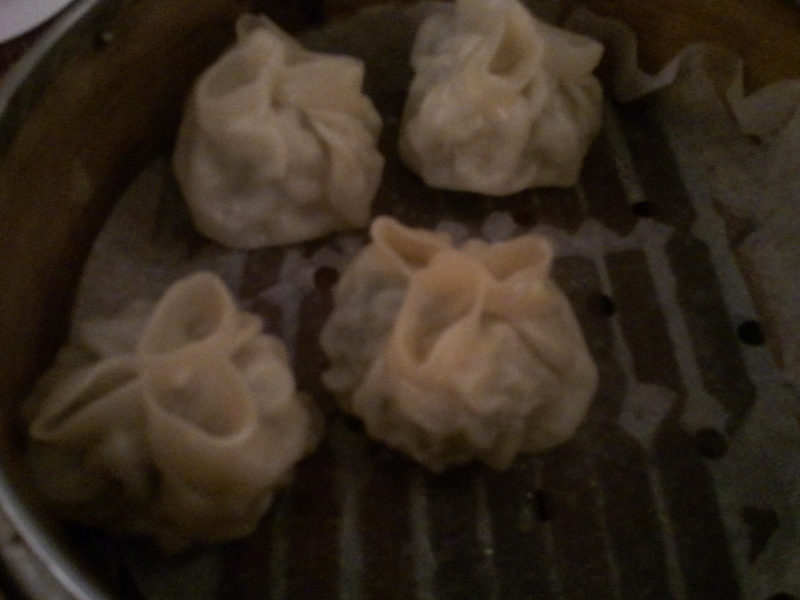 Else the dumplings will appear tasteless. 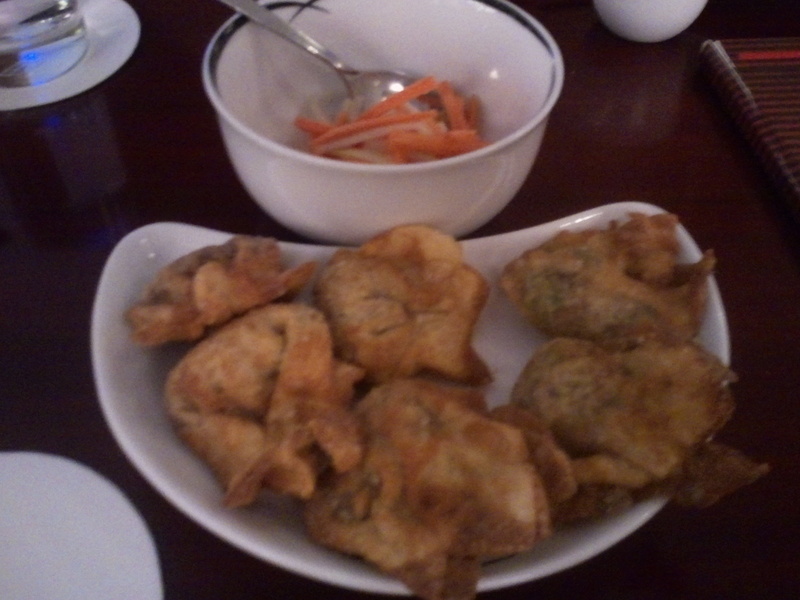 The Crispy duck wontons had a real crispy outer cover & a very authentic tasting sweet & salty filling. 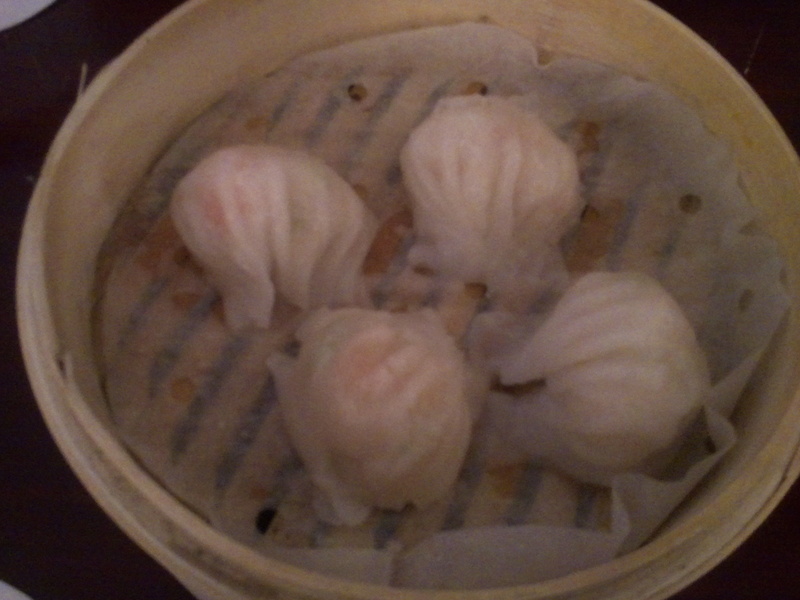 The crystal dumpling shrimp with water chestnut was outstanding………….thin translucent layer made of rice powder – a subtle flavorful fresh shrimp & chestnut filling – a must try. The steamed dumpling prawn with fresh coriander was way below the crystal dumpling mentioned above but was quite good on its own. Maybe we shud had have had this before eating the crystal dumpling. Simple subtle prawn & fresh coriander flavors…………… very good. 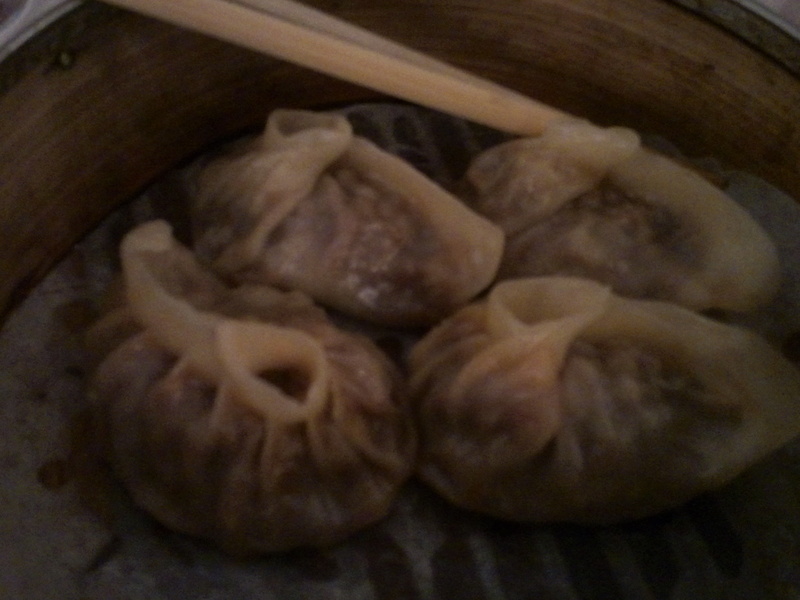 The baby lamb with oriental chillies dumpling had a thin translucent covering from which the stuffing was visually bursting out – mildly curried stuffing of lamb was excellent – again, a must have. 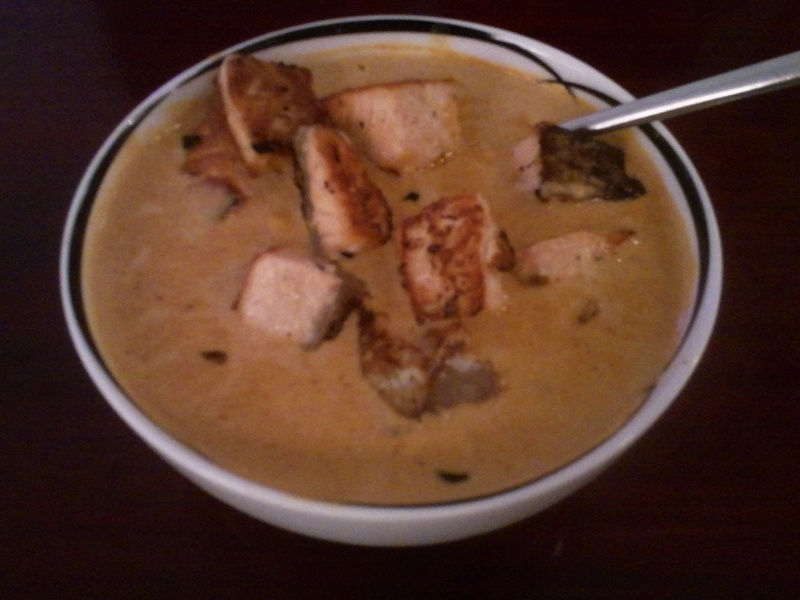 For main course we had a mind blowing grilled salmon with penang curry – A very thick coconut based gravy with strong flavor of coconut & flavorful spices. This was on top of a bed of sticky rice & then topped with grilled cubes of Salmon. Grilled charred feel in the top & soft & super juicy within……………. One of the most unique versions of Salmon I have ever had…… very highly recommended. For desserts we has ‘home made’ coconut caramel ice cream topped with mixed nuts including pistachios, thin slices of caramelized cashew. The coconut flavor was pleasant but not overbearing. Loved it. It was mildly over-sweetened. Cud have been much better with a little less sugar. 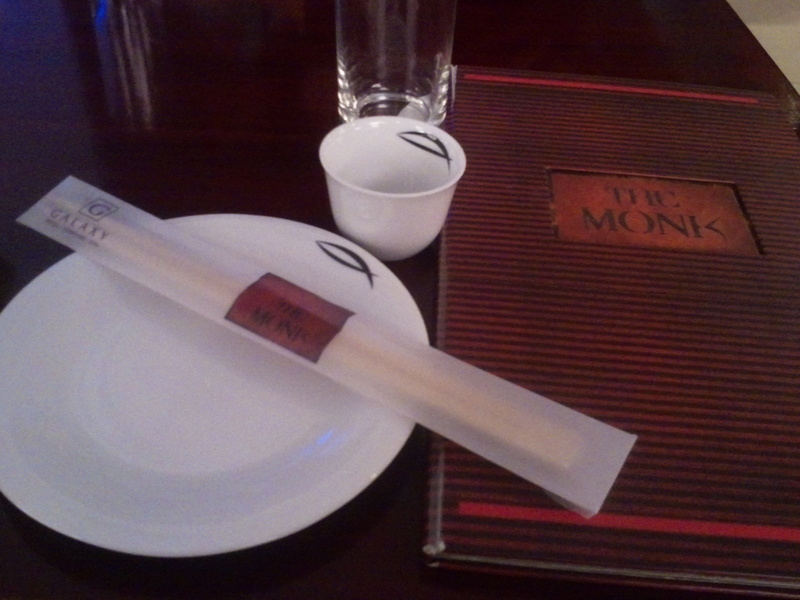 Overall – Have a great evening with some marvelous & almost authentic chinese food. The wine list is good as well & so is the rest of the drink menu. Enjoy.